This is a humble stall that has been around since 1968 and is manned by an elderly couple. 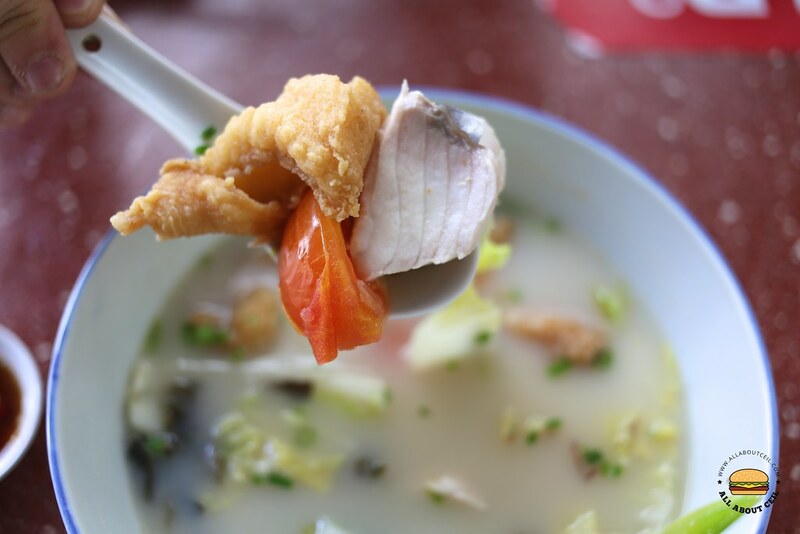 I decided to have Fried & Sliced Fish Soup at $5, the smallest portion is at $4 and the largest portion is at $8. 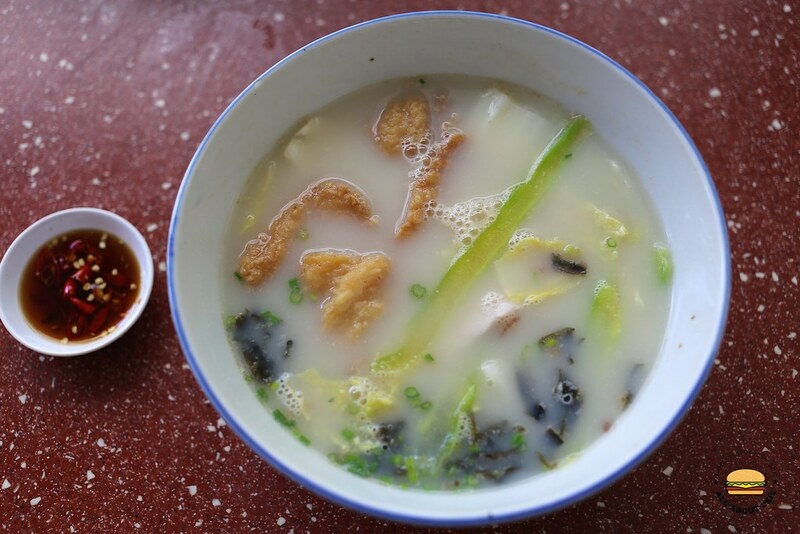 There are also options like Seafood Soup, Sliced Fish Bitter Gourd Soup, Fish Head Soup, Sliced Fish Bee Hoon, Fish Porridge and Teochew Dumpling. I was given the choice of having it with or without milk which I opted to have it with milk. The rice is served at 0.50 cents per bowl. It is self-service so I waited there for it to be ready. It was a bowl of goodness consists of fried and sliced fish with bitter gourd, Chinese cabbage, tomato, and dried seaweed. The fish tasted relatively fresh. 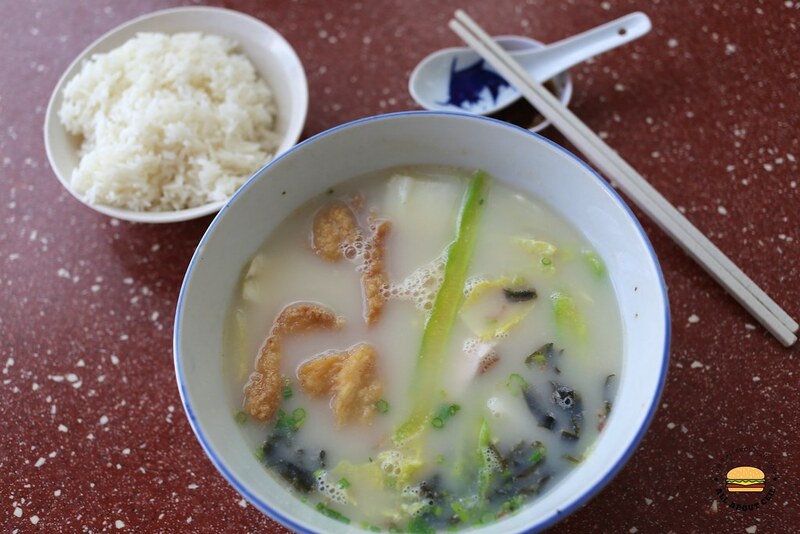 The soup has a slight milky taste and without a hint of MSG. This is a healthier choice for lunch and it is comforting at the same time, particularly so on a rainy day. 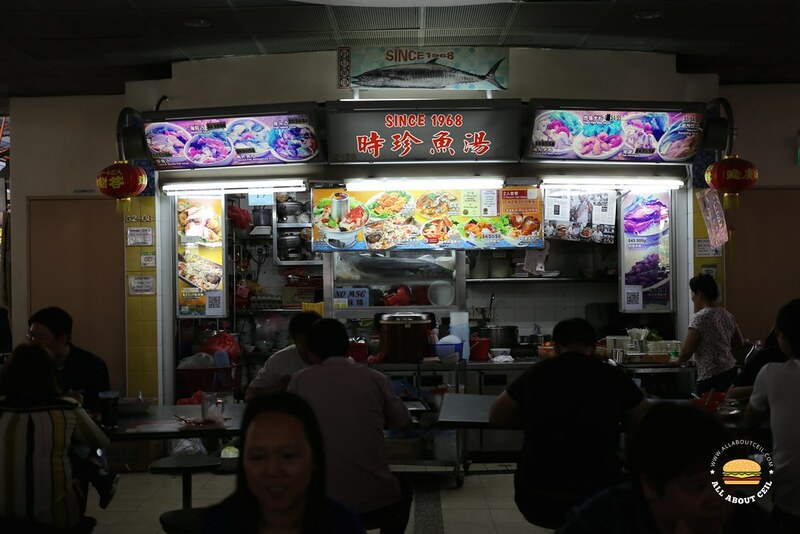 Their menu also includes Fish Head Steamboat, Homemade Prawn Roll, Fried Oyster Egg, Tom Yum Seafood Soup, Double Fish Soup, Scallop Crayfish Bee Hoon / Porridge, Steamed Grouper with Bee Hoon, Crab Bee Hoon.